BKT-508 & PSB-40 Series Are Out Now !! New Members In Remaco ! 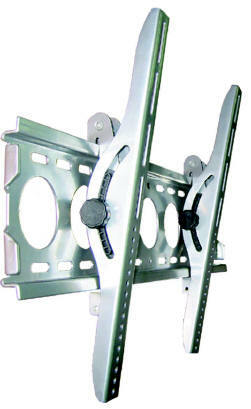 Remaco BKT-508 is the "Small brother" of our popular BKT-510 Plasma / LCD TV Bracket. Designed differently with a much smaller wall plate, now u can fit most Plasma Displaying Panels from diagonal 26" to 42"
Like "Its older brother" it is stylish & user-friendly. Tilting angle up to 13 degree and also able to slide freely horizontally. This include safety stopper to secure twin arms on the wall plate. Now mounting is much more easier !! Superior ideal to fit most smaller LCD / Plasmas in the growing market. PSB-10 and PSB-20 are too long for your low ceiling? Now this Remaco PSB-40 is the ideal one for you. Elegant in design, standing at a height of merely 12cm you can now install your projector at any low ceiling you long wanted. All nuts after u install could simply hidden in the white casing provided. Don't hesitate. Grab one yours today!